Principal Cast : Chow Yun-fat, Mark Wahlberg, Byron Mann, Kim Chan, Ric Young, Paul Ben-Victor, Jon Kit Lee, Elizabeth Lindsey, Brian Cox. 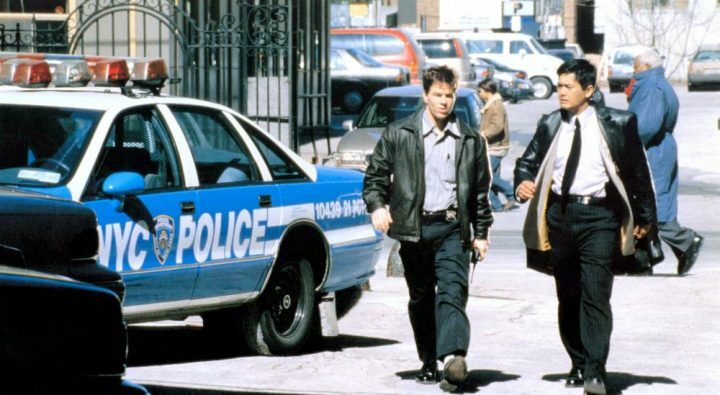 Synopsis: With the aid from a New York City policeman, a top immigrant cop tries to stop drug-trafficking and corruption by Chinese Triads, but things get complicated when the Triads try to bribe the policeman. The tag line for The Corruptor was “You can’t play by the rules when there aren’t any” and if that’s not the thinking behind this film’s creation then I’ll go jump. The Corruptor is hyper-violent inanity, a smashing together of one of the world’s most whisper-acting actor and one of Hong Kong’s most prominent action-film exports, although neither come away from this film unscathed. In only his second Hollywood feature, Chow Yun-fat plays a corrupt New York City cop, partnered up with Mark Wahlberg’s idealistic fresh-faced newbie, to take on the murderous Chinatown gangsters who spill blood in the streets at a whim. Whereas his previous American film, The Replacements, played largely to Yun-fat’s cool-factor strengths and kept his inability to speak English out of focus, here his language limitations hamstring his performance severely, while his rapport with on-screen co-star Wahlberg feels misaligned somehow. 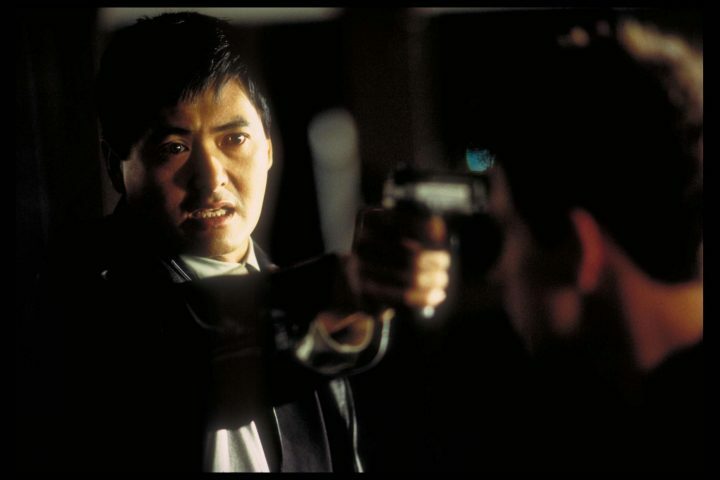 Yun-fat plays Lieutenant Nick Chen, head of New York City’s Asian Gang Unit at the 15th precinct. 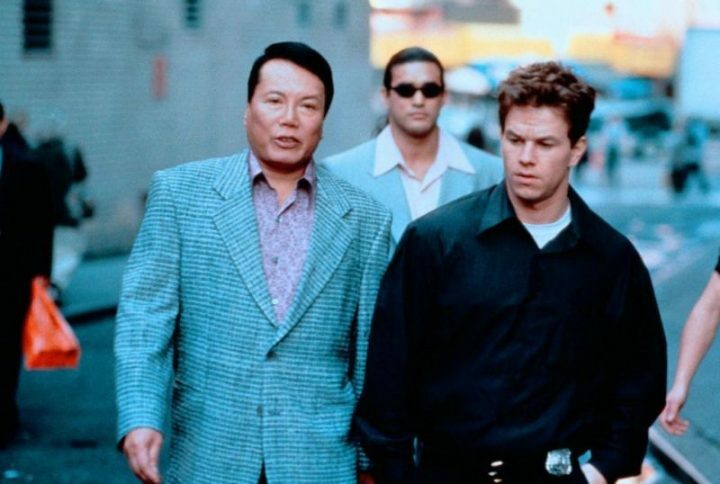 He is partnered with incoming unit assignee Detective Danny Wallace (Wahlberg), who he initially resents, although as the two engage in fighting Chinese Triad henchmen they learn to respect each other. The gang war suffocating the city is led by the Tongs – controlled by “Uncle” Benny (Kim Chan) and his ruthless associate Henry Lee (Ric Young) – while their enemy, the Fukinese Dragons, continue to move in on their turf. Unbeknown to Danny, Nick is actually an informant for the Tongs, working to keep the peace through his association with them despite his immense hatred for their enmity. And when Benny’s psychotic henchman Bobby Vu (Byron Mann) takes control of the Tong clan, things escalate quickly. The Corruptor is a disaster from start to finish. It lacks polish, it lacks coherence behind the camera, and it lacks a director with an eye for action and a skill with pyrotechnics. James Foley is clearly working out of his depth here (his previous films include drama/thriller Fear and verbal masterpiece Glengarry Glenn Ross) as he struggles to imbue any of the rancid action and hysterically over-the-top violence with any sense of poetic license, or even any sense of rhythm. The film moves with the stuttering missteps of a newborn calf, trying to smash-cut through generic Asian-cinema callbacks (low angles and hyperbolic gunplay among them) without understanding why. The dialogue is diabolical, thanks to writer Robert Pucci’s putrid screenplay, and it’s no help that one of the leading men whispers his way through a stoically rigid performance, whilst the other looks like he’s constantly being electrocuted by wires hidden in his underwear. 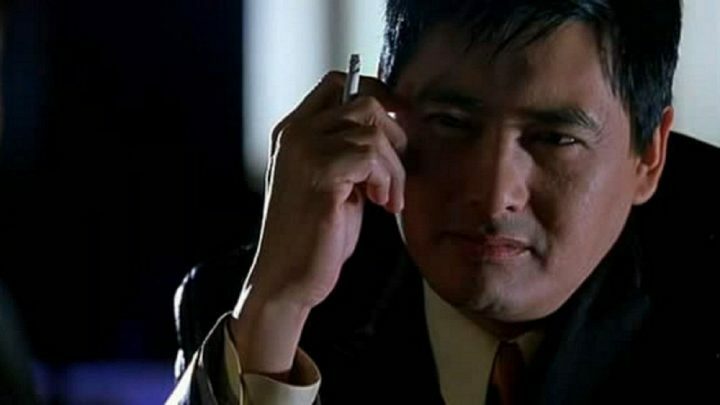 Chow Yun-fat’s limited English vocabulary is cringeworthy here, as he phonetically tries to engage with his on-screen cast members but looking for all the world like he’s “fake acting” his way through a scene he knows nothing about. Chow’s facial expressions change almost constantly, as if Foley asked him to produce every kind of look under the sun in a six second span and then working to cut that into his movie. His character purportedly has a dark past, and he elicits some manner of sympathy from the audience, but it’s a bludgeoning, indifferent role for Yun-fat to ask of us to appreciate. I suspect he’s trying to garner sympathy but in the end his ruinous conclusion resounds with the charisma of slapped beef. Wahlberg fares no better in this early role, his enthusiasm for the character evident but his limited emotive ability once again undercut by Pucci’s terrible writing. Marky Mary’s delivery is on point from that which we saw in both Boogie Nights and the rather more fun The Big Hit, but in aiming for a legitimately darker, more dramatic role in his evolution as an actor he flounders big time. 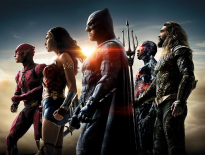 His character has a big twist midway through the film that comes out of nowhere and changes the dynamic of the movie a touch, which is a momentary glimpse of “oh, that’s cool!” before it all descends into some machismo-driven farce of an action film. The film’s central villain, a legitimately terrific and creepy Ric Young, almost single-handedly steals the show, while Brian Cox’s drunken gambling addicted father figure feels like he’s come from a different film altogether, stumbling into The Corruptor almost by accident. Troublingly, the film is not only dark in conceit but it’s also very darkly shot, as if a brown and grey filter was applied liberally to the lenses of this film, and you get the sense Foley’s focus of nihilism in this film got the better of him. As the human carnage plays out almost without apology, the film’s pulp-inspired adult themes and glorified bromance between Nick and Danny reeks of the last fading embers of great 90’s action films. There’s no Michael Bay, John Woo or Simon West behind the camera here, more’s the pity. I can imagine a film like this in Woo’s hand, mainly because he’s done that before, only better, and Foley ain’t a patch on Hong Kong’s finest. The action feels haphazard, with Foley’s staging of it inadequately capturing the flashy gunplay or manic energy it feels like everyone on set had, and the film’s widescreen framing tends more to closeup than wide shot and it makes for a frustrating viewing experience a lot of the time. Editorially, The Corruptor is a dog’s breakfast of slick tracking shots, rack-zooms and weird angles, double-teaming with Carter Burwell’s humdrum score (and the smattering of 90’s hip hop tracks overlayed as was the provenance of the day to make things feel “cool” – see also Jet Li’s Romeo Must Die and Steven Segal’s Exit Wounds, in particular) to evoke tension and a glissando-esque brilliance, but it works exactly the opposite. Instead, the film feels sloppy, as if it was made up on the fly (it obviously wasn’t, it just feels that way) and frankly, it’s the kind of film I really struggle to finish. The Corruptor is a cruel film. It’s misogynistic, racist, absurd and hideous to watch, lacking contrast to the scumbags Nick and Danny chase or the seedy world in which they exist. The film’s convulsive action sequences are often confusing (a street chase shoot-out is particularly hard to follow, and even by Hollywood standards has abyssal flaws in its logic) and Foley’s normally excellent command of human drama is absent entirely, replaced by grisly, creepy, fetishised masculinity masquerading as cool, hip modernity. The Corruptor is a film created without rules, and it shows. It’s a bad, bad film.